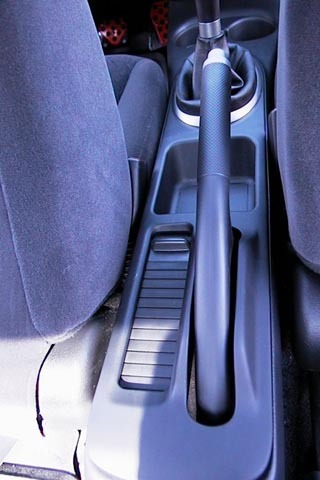 Get down and low and at the front of your center console you’ll find two clips holding it in. There’s one on the driver’s side and one on the passenger side. To remove the clips gentley push in the little circle part of clip and voila! Off it pops. Repeat this for the other side. Alright now it’s time to head to the back. You should recline ayour seats all the way forward and slide them up front. This will give you plenty of room to work. Get down low and you’ll see a screw holding the back in. Use your Phillips head screwdriver and unscrew it on both sides. 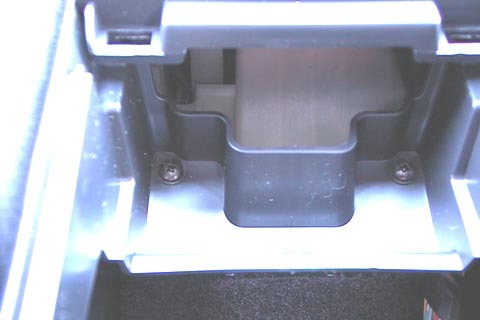 Look carefully and you’re going to see that the top of your center console is comprised of two pieces. 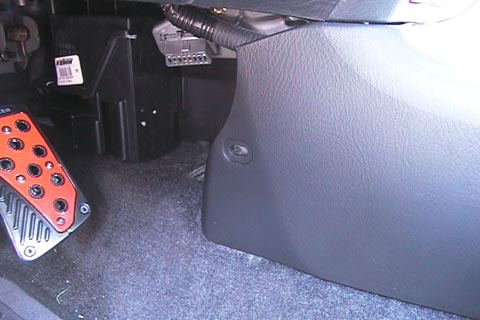 One that stretches from the front of the console to just behind the shift boot. The second piece stretches from there to the back of the console. The second piece is what we’re going to remove. Here’s how to do it. It’s only held down by a few clips so all you need to do is pry it up. 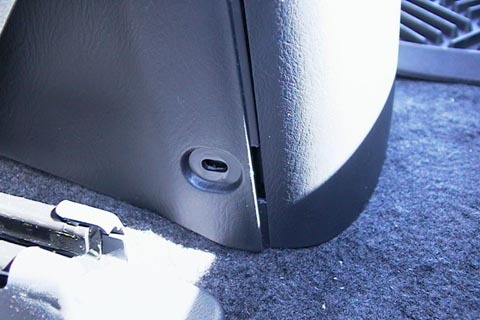 So whip out your flat head screw driver, or other prying device along with a cloth to prevent yourself from scratching up the plastic. Start and the back and pry it up. You can theoretically now just pull the whole thing straight up. However what I found to be easier was to pry up one side and get your fingers underneath then pull from left to right (or vice versa) to pop off the front clips. The front clips tend to be in stiffer than the ones around the side and rear. *POP* The entire center piece should now be free! Now you’re able to lift the piece straight up. Alright you’ll probably discover you can’t quite get it past the brake lever. The gear shifter may be in the way. Alright time to move the gear shifter out of the way. Slide it into 1st gear. 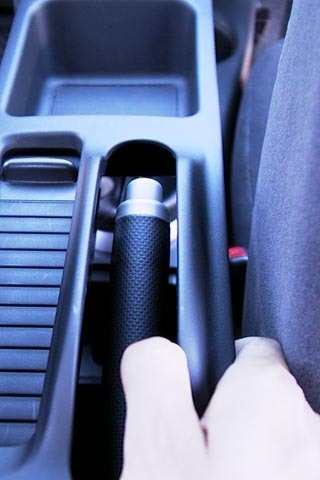 Now that the gear shift is in first, you have room to carefully slide the piece forward and out without scratching anything. You should now have the rear trim piece removed. Well as you can see here, all that’s holding the front piece in place are these two screws on this panel. 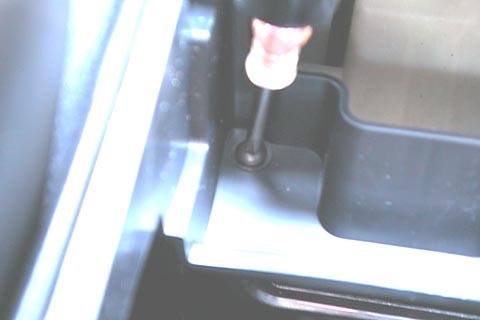 Take your mighty Phillips head screwdriver and undo those two screws. 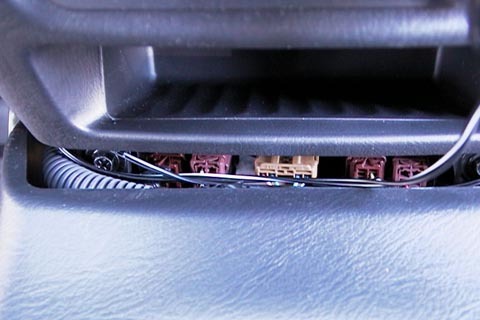 You’ve now successfully removed everything that’s been holding the center console down. 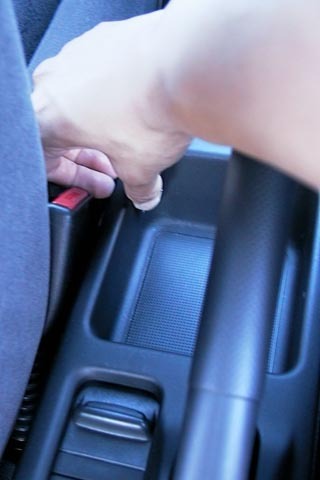 You should now be able to slide the center console back and forth. 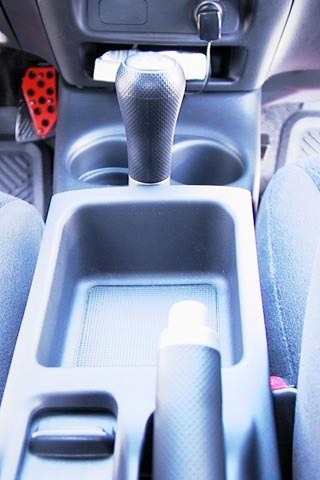 The shift knob is preventing you from removing the center console at this point. Once it is all removed you should see this. 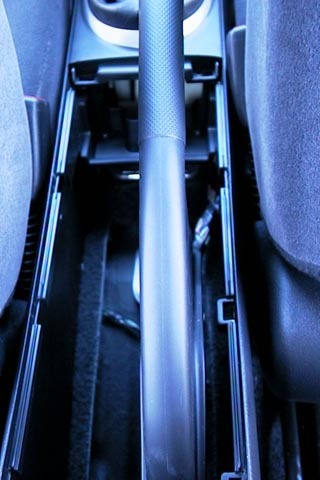 You’re currently reading “Remove The Centre Console,” an entry on Ghosty’s 2K1 Honda Civic Coupe.